Dr Sean Pascoe has 30 years of experience in the field of fisheries economics. 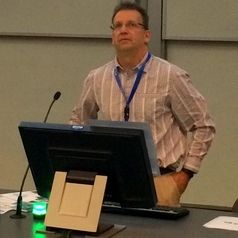 Prior to joining CSIRO in August 2006 as Economist for the Marine and Atmospheric Research Division (now the Oceans and Atmosphere Flagship), Dr Pascoe was Professor of Natural Resource Economics and Director of the Centre for the Economics and Management of Aquatic Resource, University of Portsmouth, UK. Much of his research experience has involved the development of bioeconomic models for a range of fisheries around the world. He has also worked extensively in the area of capacity and efficiency analysis in fisheries. Dr Pascoe has also undertaken extensive work on fisheries management policies, and has worked with the European Commission, OECD and FAO on the development of management policies and guidelines. He is also currently an Adjunct Professor in the School of Economics and Finance, QUT, where he supervises a number of research students. To date, he has produced over 200 papers and reports, including over 100 refereed journal articles.